Rare and wonderful. The Romanée Conti vineyard was uprooted after the ‘45 vintage. The best bottles are so concentrated and exotic, with seemingly everlasting power - a wine at peace with itself. 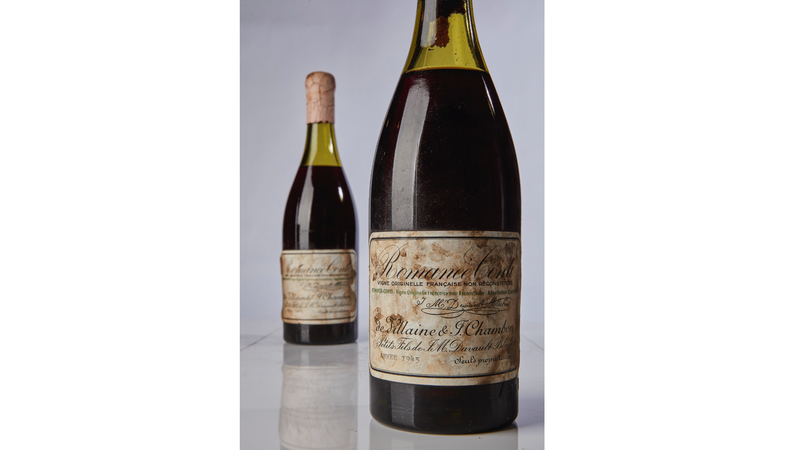 Afterward, a bottle of identical vintage and size sold for $496,000, which is exactly the same amount of rare except less wonderful by precisely $62,000. According to Newsweek, the bottles broke the previous 2010 price record for a standard-sized bottle which went to three bottles of 1869 Château Lafite-Rothschild averaging $232,692 each.